The IMG Worlds of Adventure is situated in Dubai, UAE that is known for beautiful indoor amusement park. Find it wiki, opening time, ticket price here in detail. Dubai in the Middle East is considered one of the most exciting and extravagant places on Earth with its state of the art architecture, artificial islands and million-dollar entertainment and leisure projects. 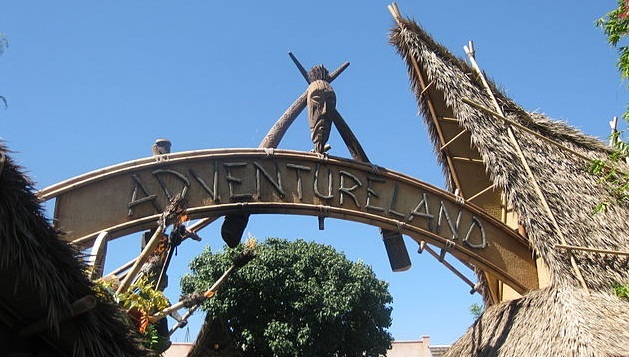 One of the many such expensive and unique projects is the IMG Worlds of Adventure which is considered till date to be the most unique of all the amusement or theme parks in the world. Let’s take a brief tour about what it is all about! Ilyas & Mustafa Galadari Group started the project which is considered to be World’s largest indoor theme park with regulated temperature. The entire theme park was part of Dubailand and City of Arabia developmental project which was shortly thwarted due to the recession period. In 2014, the project got funding from the national bank and restarted its construction gaining momentum. It was supposed to be completed in 2014 end but was successful in only laying the foundations of rides. The park was finally inaugurated on 31st August, 2016 and made open for the general public and has been a favourite entertainment spot since then. Located on Sheikh Mohammad Bin Zayed Road in City of Arabia project, the park has an estimated area of about 1.5 million square feet. It lies between Dubai-Abu Dhabi E311 Highway. It has a capacity of 20,000 visitors per day and operates year round on all days of the week from eleven in the morning till nine in the night. There are 17 theme based rides, 12 cinema screens and four different areas of entertainment. On an average people generally spend four to five hours in the park. The park is indeed an architectural marvel, complete with its entire indoor air-conditioning, a huge respite to people living in the hot desert. The ceiling is a complex design of intertwined plates weaving a spectacular tapestry to gape at. Other exterior aspects and lighting are perfectly balanced with the theme zones and speaks much of immaculate planning and hard work. The entire park is divided into different zones suitable for all age groups to enjoy and relax. The adventure rides are made for thrill and are based on different television superhero characters like Hulk, Marvels, Spider Man, Power Puff Girls and the like. There are different 3D and 4D shows featured in the theater halls and several super fast roller coaster rides. Also do check 10 activities to do in Dubai here in detail. The first zone of the park is the IMG Boulevard which welcomes guests on entry. From here visitors are channelized into the other three zones. The Cartoon Network zone houses the largest Ben10 store as well as the first 5D Ben10 show and is meant for cartoon lovers. Cartoon characters are seen entertaining the visitors and other featured rides are part of this zone. The Marvel zone is packed with adventure rides, specially the Avengers ride where guests ride a two-seater aircraft and race with others; and the Thor floorless spin ride. The Lost Valley section is a dino based theme zone showcasing about 70 electronically animated dinosaurs. There are several roller coaster rides in this zone designed charmingly as a lost city. Apart from the entertainment zones, various eating joints and resting spots line up the entire place for the ones who want to grab something to eat and explore more. About $56 US Dollars is charged for an adult to enjoy 20 unique rides as well as experience 5D cinemas. The entire project costed a $ billion and is still adding in extra bits and pieces to pep up the vibrant ambience even more. There are several souvenir shops for the ones who want to take a piece of happy memories home!